Building a game typically requires a combination of skills. Artists create the characters in the game, animators bring life to the characters, musicians add sound, and programmers provide the game logic. DigitalBrix enables people to collaborate, build, share, publish and play games online, providing a whole set of encapsulated behaviors that can be used by individuals with no programming skills to build interactive games. DigitalBrix's products include GBoss and GameBrix. Gboss is a Web 2.0 hosted solution for building games online. GBoss (an acronym for Game Boss) has been specially designed for people with no programming skills in mind. It is a browser based application that runs on Windows, Linux, MacOS, and any other platform that supports Internet connectivity with a browser. There are no installs, no upgrades, no CD. And students can work wherever there is Internet connectivity! GBoss is an intuitive application that allows user created art, animation and music to be incorporated in games. Used in conjunction with GameBrix, it provides a collaborative environment where users with diverse skills and interests in different locations can work together. 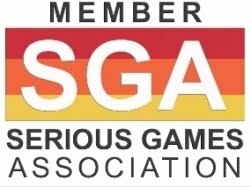 For aspiring online game makers a brand new community is now in public beta providing tools for creating games and animations; forums for sharing ideas, game components, and troubleshooting tips; and a host site for games that others can play. The target users include creative professionals, casual game enthusiasts, novice game developers looking to break into the gaming world and folks who want to build simple funky games - a community of like-minded players, where budding programmers can seek out the advice and expertise of veteran code-meisters and seek out solutions from all. Folks can work solo, or in teams to produce quality games that can be loaded from the site and played anywhere. The pedagogical possibilities are readily evident. Professors and teachers can appropriate the site for educational purposes, designing educational games or having students design things themselves. GameBrix lets kids become game authors and even form their own virtual game studios, recruiting friends to design, build, test, and share 2-D video games. It’s increasingly common for college computer-science departments to offer courses in advanced video game development to 18-to-24-year-olds who were weaned on Nintendo and PlayStation. DigitalBrix has a more democratic aim: to enable younger students who might otherwise simply be consuming games or watching television to put their talents to work in a medium that’s inherently interactive and social. DigitalBrix was founded and incorporated in January 2006. It's founders have in-depth expertise, commitment and dedication to game design and game programming. They have taught thousands of participants the process of game development over the last five years. 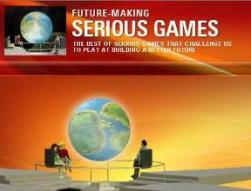 They have authored a book on Basic Game Design that breaks down the steps in game design into fun and enjoyable tasks! 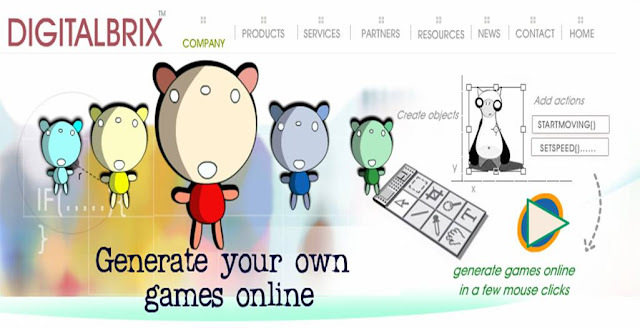 DigitalBrix intends to democratize game creation using a browser-based platform independent gaming engine. Using Web2.0 technologies, our products give you the look and feel of a desktop application that are actually Internet hosted applications. They enable creative professionals to graduate to game developers.